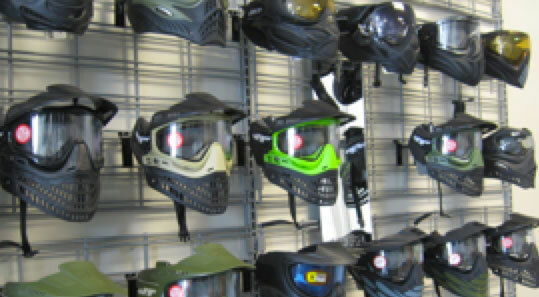 Saints Paintball stocks the largest selection of paintball guns and equipment in the state at the best prices around. Come in to chat with our expert staff to answer any questions you may have and make sure you get the perfect equipment at the best value for your money. All guns are backed by our lifetime labor warranty. If you ever have a problem, bring it in and we will take care of it. There is no charge for labor and we will work with the manufacturer to get any parts that are needed. You will only be charged for parts that are not covered under manufacturer warranty. At Saints Paintball, you can build the exact package that suits your needs. Don’t be fooled by package deals offered at other stores. Package deals often skimp on quality in one way or anther. 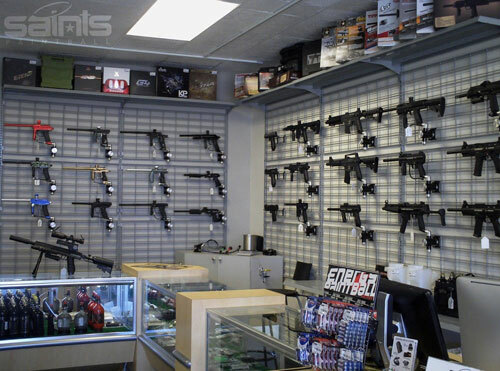 Choose your gun and receive 10% off any other components you need to complete your perfect setup. Add as many or as few items and don’t get stuck with sub-par equipment. Need a fill? 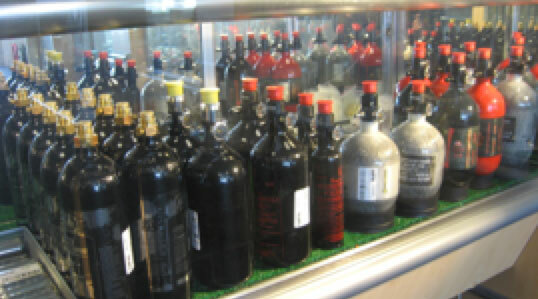 We offer the best prices on tank fills for paintball, airsoft, airgun, or bulk CO2 applications. Our advanced fill systems means that we can fill your tanks while you wait to the correct capacity with no need for an overnight drop off. Per Department of Transportation (DOT) regulations, all pressurized cylinders that hold a gas or liquid need to be hydrostatically tested every 5 years to ensure their integrity. We cannot fill tanks that do not have current hydrostatic test dates or that are not covered by a special exemption to this rule. Retesting a carbon fiber tank is usually worth the cost, but hydrotesting a CO2 tank almost always exceeds the value of the tank. If you are not sure whether your tank can be filled or not, please bring them in and we can check the dates for you.